Today's hearing devices are not what your parents used. Let us show you the latest in digital hearing technology. Hearing Testing in Anchorage! Call today, (907) 538-3655. Comprehensive Hearing Testing Anchorage residents can rely on. The hearing test includes a comprehensive evaluation of pure tone thresholds, speech testing and middle ear testing if needed. The results will give a clear picture of your hearing and help determine the best solution for you. During this one hour appointment, your new hearing aid will be personalized to fit your hearing loss using the latest in technology. The audiologist will teach you how to use and care for your new hearing aid and ensure that it fits comfortably and you feel confident using the hearing device. Our professional staff is well trained to evaluate broken or damaged hearing aids. Some repairs can be done in the office but many may need to be sent to the manufacturer for repair. Our staff will be able to let you know what that cost may be. 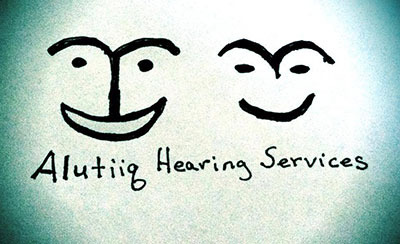 Read more about Alutiiq hearing aid repair services. Tinnitus is a very common problem affecting 44 million Americans. Problem tinnitus (also known as ‘ringing in the ears’) is the frequent experience of bothersome sound that other people cannot hear. An audiological evaluation is an important part of tinnitus assessment. We can provide relief and help manage this condition. Do you have difficulty sleeping at night? Do your ears hurt when you fly? Are you prone to swimmer’s ear? Do you attend noisy events or enjoy hunting? Earplugs must fit properly and be worn correctly in order to do the job. Let our professionals fit you with earplugs that are suitable for your specific needs. Do you have to ask people to repeat themselves? Take our short hearing quiz now.